Tokyo ESP – 'Heroes' Meets Manga Adaptation? 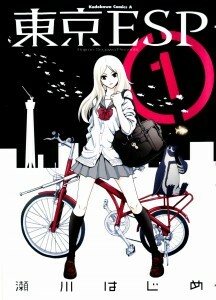 Another new manga to share my thoughts on. This one happens to be a manga by Hajime Segawa who some might recognise as the author of Ga-Rei, another series that dealt with a supernatural plot. The superhero/super power/supernatural theme has been in our lives in one way or another since our birth, whether it be the multitude of Marvel Superheroes or the various TV shows with their own super powered beings, however what we never fully consider is how many of these pieces actually manage to impress us and where do we draw the line between a superhero-esque story that can be comparable to that of the Occident and the typical Japanese shounen piece with powers but no superhero intentions. Tokyo ESP is a manga that falls into the western-style superhero category, that’s to say that the story is almost what you’d expect to get on a TV series in America and could have been a possible plot idea for ‘Heroes’ before being finalized. The plot takes the archetypal approach of X-Men, dividing the protagonists and antagonists into those who just want to live peacefully in the world and those who want to create a new world due to feelings of superiority (heard it many times), not particularly original nor is it overly exciting and if the story were to be this manga’s only selling point then I would have dropped it after reading just one volume. If not the story, what could be good about this manga I don’t know how to say this, but I guess it’s the pacing of the manga that attracted me more than anything else. Sure the pace itself tends to change quite drastically within the 17 chapters of the manga that I’ve read, all off which makes you sometimes forget the order of the events that have transpired, but then again that’s all part of the manga’s charm. 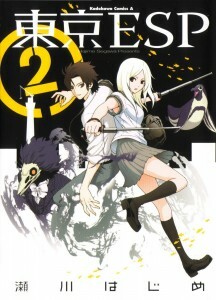 I enjoyed the fact that there were 2 arcs of pure intensity that also happened to set the scene for a main fight between the protagonists and antagonists and the following arc ended up being a focus on the training the heroes have to undergo; that particular plot device gave the chapters of the manga which could have been boring a slightly different feel to them then any similar story. 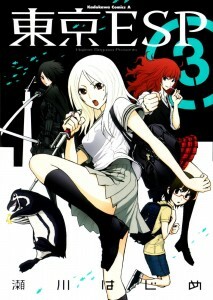 The romance aspect keeps re-appearing in the chapters, almost like many of the manga running in Shonen Magazine which is disappointing considering that the manga is not running in that publication and has fallen into yet another shonen pitfall; adding romance where romance isn’t necessary just ends up killing the manga. The romance elements are not bad enough to stop me reading it, seeing as Ga-rei used the same style of romance which wasn’t bad but not good. The characters don’t really do much for me and deviate from the normal manga characters you tend to find in a typical shonen piece. I can’t really say they add much to the manga itself but they certainly don’t detract from it, with that in mind I was surprised to find the antagonists to be the better characters in the manga and found the protagonists to be lacking. Unfortunately the characters do contain many clich s and are probably the main flaw of the series but if your to look past all of the clich s, you find them to be somewhat different from what you usually get in a series like this. Overall…….. I still can’t decide how good Tokyo ESP is but it’s definitely not a bad manga. I’d say it’s a slightly different shonen piece than what you’d find online and that’s what makes it more difficult to judge, so I’d say it’s good to check out and it’s a fun read but it won’t be making your re-read list any time soon.